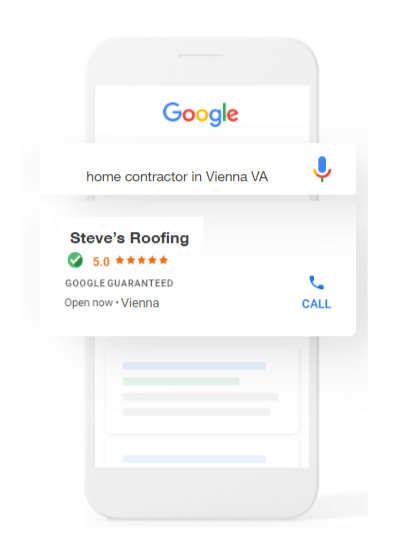 Get Started with Google Local Service Ads and Connect with Homeowners in the Most Direct Way Possible! Google has completely changed the game when it comes to how homeowners find and contact home services businesses online. Google recognizes that homeowners who search for local services online, oftentimes need these services quickly…and from trustworthy contractors. Local Services by Google is their solution and they’re rolling it out to verticals and markets in the home services industry. Local Services by Google is an initiative to simplify the process of hiring a local contractor by giving homeowners the ability to easily discover, connect with, and hire with complete confidence. 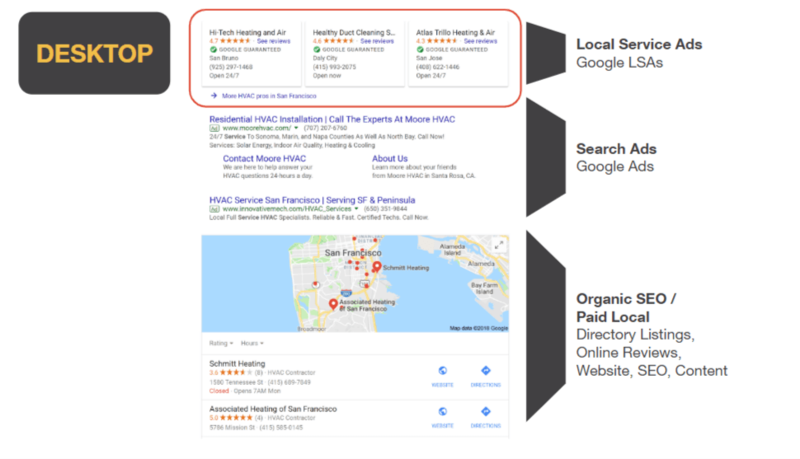 Local Service ads get priority placement in local search results…appearing at the very top ahead of traditional Google Ads, local map listings, and organic search. And, because Google has adopted a cost-per-lead business model, home services contractors only get charged for the leads that actually reach out via a phone call or text which is huge! 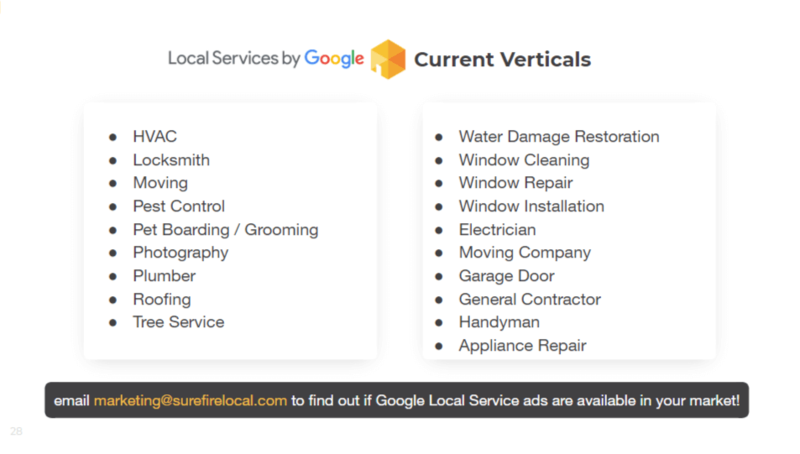 What Verticals are Google Local Service Ads Available In? 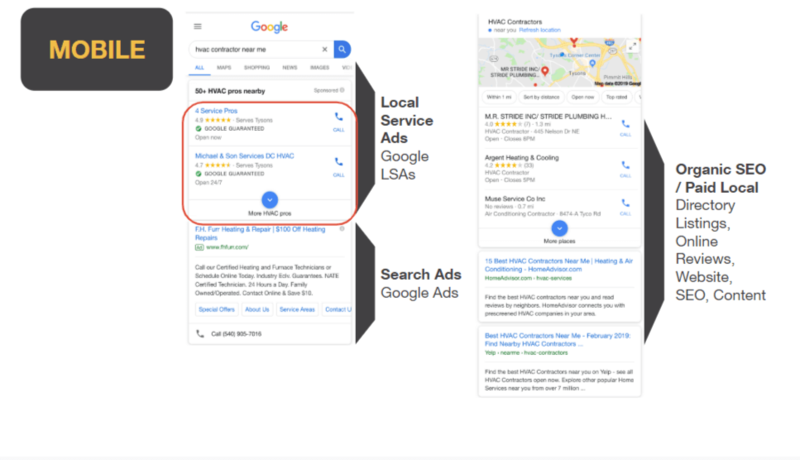 Each month, Google is expanding the verticals and markets that Google Local Service Ads are available in. Currently, these are the available professions. Google Local Service Ads have caused a tremendous shift in search results. Now, in order to get found at the very top of Google, you need to be running Local Service Ads. Take a look at how Local Service Ads appear on both mobile and desktop. Why Are Local Service Ads So Effective? Instant Results: Homeowners are able to compare home services businesses at a glance and connect with the ones they choose. Ease and Convenience: Everything a homeowner needs to hire a pro is organized in one place. Trust: All businesses are prescreened and backed by the Google guarantee and real customer reviews. With Google Local Service Ads, if you only pay after someone has become a qualified lead, not for simply viewing your ad. Speak with one of Surefire Local’s digital marketing strategists to learn more about Google Local Service ads and how you can get started. As a Google Premier Partner, our team works closely with Google and can help you get started through the verification process and optimize your presence to drive high-quality leads from your advertising efforts.